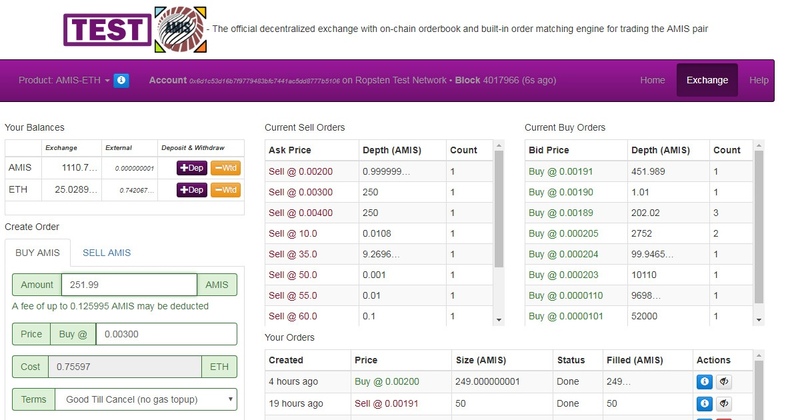 AmisDex is an open source decentralized exchange Dapp providing on-chain orderbook and builtin order matching engine resulting from smart contract execution. The user-friendly decentralized exchange interface is built on top of Ethereum smart contracts and allows users to trade the AMIS ERC-20 pair from wallet to wallet. No registration required. You can start trading right away.